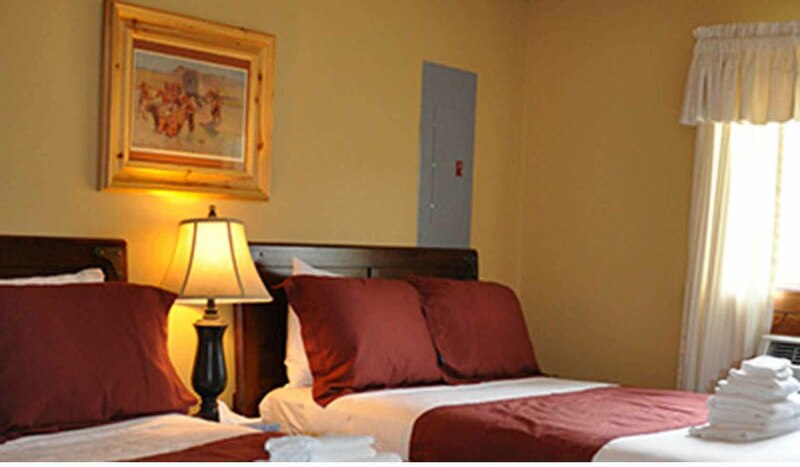 We have 4 facilities for your Yellowstone vacation! The Victorian Inn is a historic inn originally built in the late 1800's. Restored to it's original beauty and charm you are certain to enjoy the splendor of Yellowstone from just one block away. Carriage House - Our new addition in 2016! A variety of rooms that will accommodate 3 to 6 people, with the charm of the inn and brand new amenities! Condo Suites - These units allow the entire family all the comforts of home. Newly renovated, each unit will accommodate up to 8 people while having the comfort of a fully equipped modern kitchen and living space spacious enough to spread out and relax in the evening. Each unit has laundry facilities as well. River Cabins - Take your pick of one of our 3 cabins located along the Yellowstone River. A perfect setting for that family reunion you have been planning! The cabins are quaint and comfortable with all the luxuries of home including a fully equipped modern kitchen, living space, laundry facilities and a generous deck allowing you to enjoy the serenity of the Yellowstone River outside your door. Mountain Cabins - Situated high in the mountains above Gardiner, enjoy the great outdoors just outside your door. 4 cabins rest peacefully overlooking not only Yellowstone National Park, but the Gallatin National Forest as well. Each cabin offers all the peace and comfort of home including a full equipped modern kitchen, living space, laundry facilities and a deck allowing you to enjoy the fresh mountain air without all the hustle and bustle. Only minutes away from Gardiner!